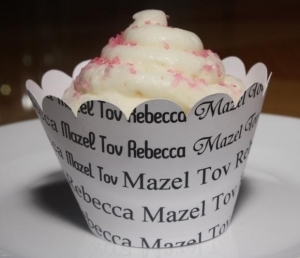 For our Mazel Tov Cupcake Wrappers, you choose the color that you would like your text to be. 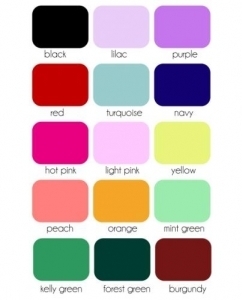 This listing includes personalization! The names will be in the same rotating fonts as the words "Mazel Tov". You'll love how your cupcakes look dressed in our custom cupcake wrappers. These cupcake wrappers are not for baking. They are used for display only. Our wrappers have a tabbed end that fits into a slit on the other end; very easy to put together although we also include instructions. You can also simply tape them together. Wrappers measure 2 1/4" to the top of the scallop.